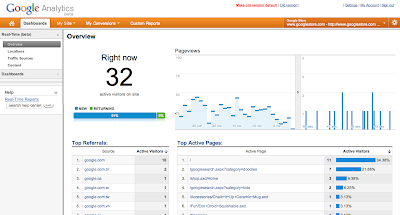 Google Analytics Solutions: What’s happening on your site right now? One way that I like to use these reports is to measure the immediate impact of social media. Whenever we put out a new blog post, we also send out a tweet. 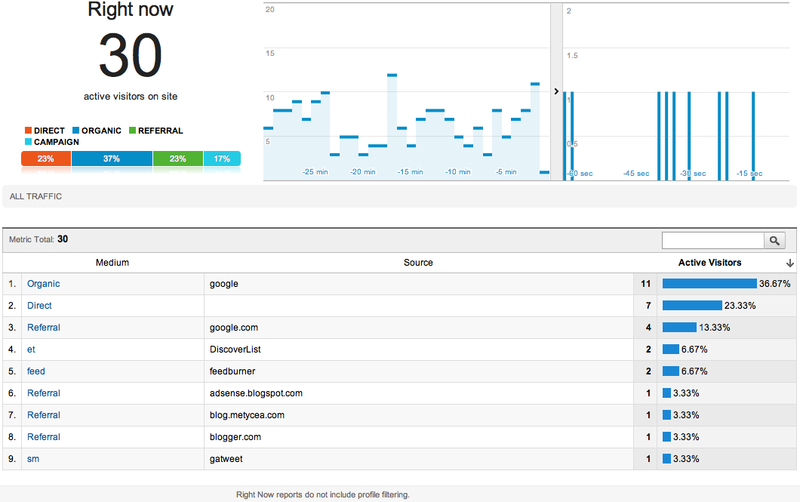 With Real-Time, I can see the immediate impact to my site traffic. For example, last week we posted about the latest episode of Web Analytics TV and also tweeted about the post. By campaign tagging the links we shared, we could see how much traffic each channel is driving to the blog as it happened. We could also see when we stopped receiving visits from the tweet, which helps know when to reengage. Another way I’m using Real-Time is to make sure campaign tracking is correctly implemented before launching a campaign. When getting ready to launch a new campaign it’s critical to make sure your measurement plan is working before you start driving visitors to the page. 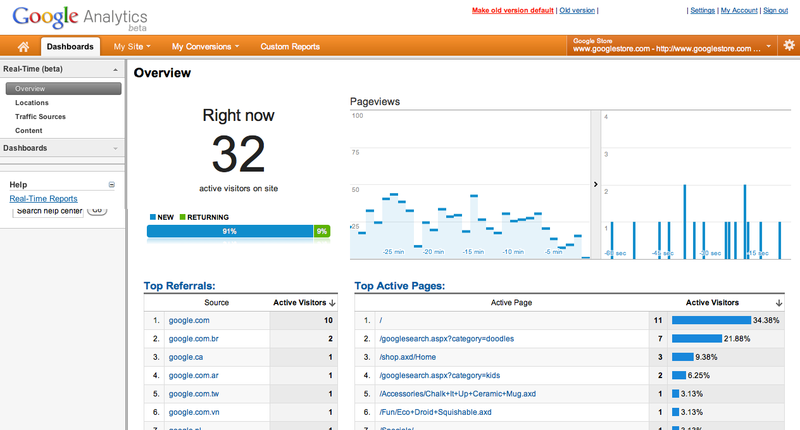 With the Real-Time reports you can find out in seconds whether you’re getting the data you want in Google Analytics. You’ll find the Real-Time reports only in the new version of Google Analytics. If you’re not already using the new version, you can start by clicking the “New Version” link in the top right of Google Analytics. Real-Time reports are in the Dashboards tab (though they will move to the Home tab in the updated interface next week) . You will have access to Real-Time reports if you are an Administrator on your Analytics account, or if you have access to a profile without profile filters. Real-Time does not support profile filters. We just turned the reports on for a number of you, and over the coming weeks, everyone will have access to Real-Time. If you can’t wait, sign up for early access here: https://services.google.com/fb/forms/realtimeanalytics/. We’d love to hear about how you are using (or planning to use) Real-Time, so please share in the comments. The web is getting faster, and not just the speed of the pages, but also the speed of change. Before, it was fine to build a website and modify it only when new products were launched. All of us avid Analytics users know that’s just not good enough. We need to be constantly on the lookout for problems and opportunities. Currently, Google Analytics does a great job analyzing past performance. Today we’re very excited to bring real time data to Google Analytics with the launch of Google Analytics Real-Time: a set of new reports that show what’s happening on your site as it happens.